Scenario-1: A Times of India report suggested that the International Cricket Council (ICC) estimated 324 million watchers across the globe for the India versus Pakistan summit clash of Champions Trophy 2017, making it the third most watched cricket match in the history after the 2011 World Cup final (India versus Sri Lanka, at 558 million) and semi-final (India versus Pakistan, at 495 million). Scenario-2: The ICC urged fans to resell unwanted tickets for the first semi-final of the Champions Trophy this year at Cardiff. While Edgbaston and The Oval enjoyed strong crowds throughout the group stages of the tournament, Cardiff had a problem with no-shows from ticket holders, with 8,000 missing across three group matches. Champions trophy is, arguably, ODI cricket's second most highly regarded and popular event after the World Cup. Considering this and then attempting to analyse the findings of the two scenarios above, one wonders if ODI cricket finds the crest and rock bottom both in the same bracket. To some extent, the inconsistency of ODI cricket can be summarised fittingly by the above two scenarios. On one hand, the oozing zeal and massive fan following for few matches at designated parts of the globe; on the other, the disappointment of empty stands and obliviousness of the masses elsewhere. The good and the bad coexist possibly like no other formats. So much so, it even puts the cricketing boards and the apex body, ICC, in a conundrum. Questions arise, "Is the validity and context of ODI format in danger?" 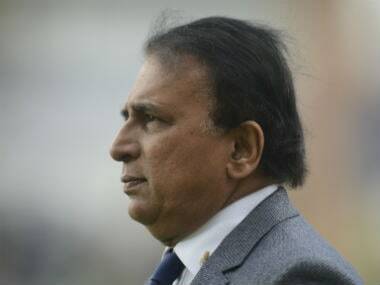 Answers pop up, "Continue the Champions Trophy, discard Test championship." So how is the format faring in the mix of variables such as time, the influence of other formats and so on? How do the numbers stack up for ODIs? An analysis of the number of ODIs played across years shows a decline of the format. The decline has been very sharp in past two-three years. However, overall, it is not as alarming, but a noticeable one nevertheless. Because the ODI format still has cricket's most coveted tournament, the World Cup for grabs, the major cricketing nations ramp up their ODI activities when they approach the showpiece event. 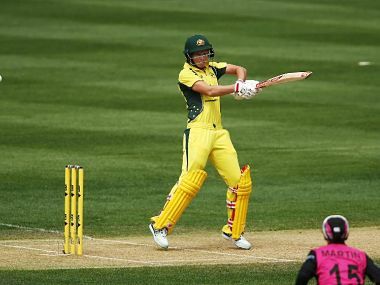 The ODI format, in the years between the World Cups, has not been as widespread. Statistics suggest that since 2012, there has been a sharp fall in the number of ODIs being played per year. The average (per year) number of ODIs from 2000 to 2011 was 131, it fell to approximately 112 since then (till Champions Trophy 2017). The downward trend is more distinct from last year and it continues to this year. Is the focus shifting elsewhere? It's natural for one to wonder where are all the cricketing efforts channelised if they are not in ODIs? After all, cricketing activities have not dried up over the years. Finding an answer to this would require a comparative analysis of three different formats. Interestingly, the number of Tests played across past years does not allude to anything abrupt. The average number (per year) of Tests played since 2000 is 43.38 and it remained consistent around that number (less standard deviation) in different time phases during this period. The average number of Tests from the 2000 to 2011 period is 45.5 and since 2012, it is 40 (till the middle of 2017). 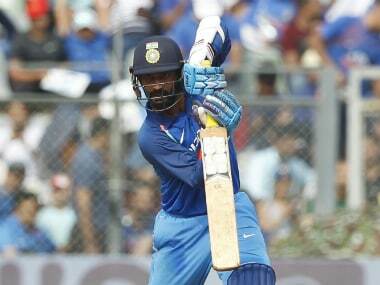 It cannot be, hence, claimed that the teams are playing Tests at the expense of ODIs. The game changer, as one would grasp, has been T20 cricket. Not only has the rise of the T20 format been exponential, it's causing a tectonic shift. From less than 10 T20Is each year before 2006, the number has skyrocketed to nearly 80 per year recently. Besides international games, T20s have grown leaps and bounds domestically. With as many as seven super cash-rich domestic T20 leagues such as Indian Premier League (IPL), Big Bash League (BBL), Pakistan Super League (PSL), Cricket South Africa T20 Global League, Caribbean Premier League (CPL), Bangladesh Premier League (BPL) and Natwest T20 happening at various times of the year, it is eating into the ODI format thick and fast. One-sided encounters: The success of the game depends on its ability to engage the audience till the last over and in nail-biting finishes, in the fright of the oohs and in the relief of the aahs! The ODI format has been relatively plain in charming the watchers of the game. 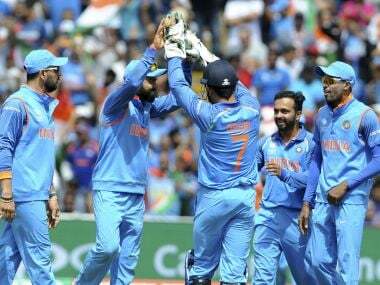 One look at the statistics suggests that out of the 154 ODIs played last year (11 June 2016 to 17 June 2017), in less than one-third (49 matches) of the matches, we had tight finishes (a tight finish is defined as win margin by less than 50 runs or five wickets). With Tests bringing results in the third and fourth days in closely contested encounters and T20s exhibiting very thin differences between the teams, ODIs have comparatively become more one-sided. Slot crunches: With mushrooming domestic T20 leagues, all governing boards are struggling to slot ODIs adequately and thoughtfully. In addition to the logistical issues, the wider debates about the relevance of ODIs for reasons mentioned above are also not helping the cause. The constraints, however, remain in the preference of T20s and willingness to not cut corners by reducing Tests. ODIs, hence, take the plunge. Dubious value proposition: Sandwiched between the longest and shortest formats, ODIs face an existential crisis. Even though a Test is five-times the length of an ODI, the unique value proposition of Tests - in the ultimate battle of ball and bat in extreme conditions challenging the characters of bowlers and batters - makes the format enormously desirable to a section of the game-lovers, albeit the most conservationist ones. T20s, on the other hand, are epitomes of other extremities: power-hitting, niche batting and bowling skills, dramatic match situations and more. T20s, proving superior to ODIs, are cannibalising it rapidly. Subcontinent anchor: Four of the subcontinent's largest countries, India, Pakistan and Bangladesh and Sri Lanka, where cricket is the most popular sport, contributes close to two billion fans out of cricket's overall 2.5 billion fans worldwide. ODIs are not as much in danger in the subcontinent as it is elsewhere. Mega events: As the opening two scenarios suggest, ICC tournaments such as the Champions Trophy and World Cup do a world of good in enticing massive viewership. Also with more and more engagement of the top nations, the quality of the ODIs would be improved significantly. ICC's proposed Future Tours Programme (FTP) - which plans to introduce a 12-team Test league played over two years, and a 13-team ODI league played over three - looks a promising one to provide ODIs with a fresh lease of life. ICC's proactiveness: If the nature of the game intrinsically loses its sheen, the external factors become imperative to try and change the game for the better. 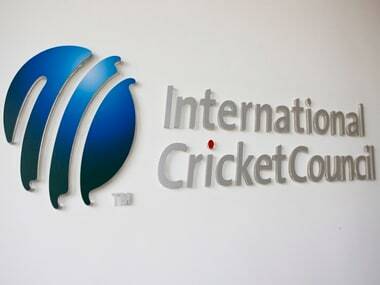 ICC, in this regard, is doing an excellent job to experiment with the format. The interventions with no ball rules, the power play procedures and the new ball policies are some noteworthy ones in the attempt to make the game more exciting. Notwithstanding concerns, ODI cricket is far from dying a boring death. It will be interesting to see how the governing boards and the ICC tackle the situation to safeguard the format from the wild wave of T20 and classic protectionism of Test cricket.